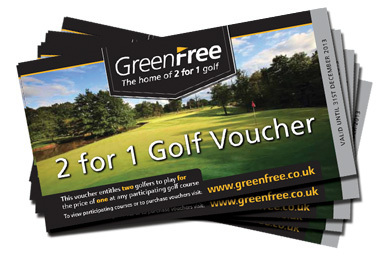 Treat yourself to 2 for 1 golf with our fantastic GreenFree Vouchers. Each voucher entitles two golfers to play golf at any one of over 800 participating UK and Ireland golf courses for the price of one. Using GreenFree vouchers gives you the opportunity to hone your game at a wide variety of different golf courses. GreenFree Vouchers give you options to play spectacular courses like you have never had before.